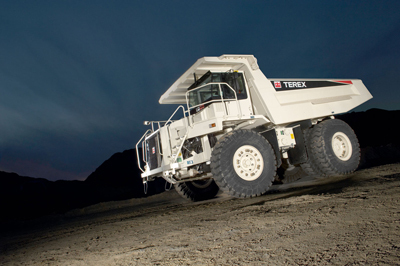 Myanmar Thura has made its first order of Terex Trucks rigid haulers, purchasing 10 new TR60s to cover expansion at the company’s jade mine in Kachin State, Northern Myanmar. Jade mining has limited concessions due to the seasons, and can only operate six months out of the year. The TR60s will be required to work day and night in two shifts, hauling 55 tonne loads of earth, rock and jade from the mine, where the elements will be separated for further processing. The Terex Trucks TR60 rigid hauler is built on 60 years of hauling heritage and delivers an excellent performance in a wide range of hauling applications. “We have high expectations of Terex Trucks with backing from Volvo CE, and we may well look into future purchases of the rigid haulers once we have experience with product, support and services offered,” continued Thura. Established in 1996, Leadway Heavy Machinery is the official Terex Trucks dealership for Thailand and Myanmar. Its affiliated company, Aung Hein Min (AHM), based in Yangon, provides sales, marketing and service solutions for Terex Trucks customers. “Having worked with Myanmar Thura for years we’re confident the company will be a very happy Terex Trucks customer for many years to come - it’s a significant step in expanding our footprint in Myanmar,” said Jimmy-Chakart Seanchan, CEO of LHM. The TR60 rigid dump trucks are planned for delivery in October.